1100 sq. 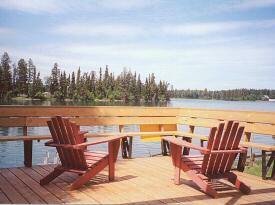 ft. sunny west-facing lakeside cottage on ½ acre children’s log playhouse. 2 huge decks overlooking a secluded/protected bay. Gently sloping lakeshore for easy access. 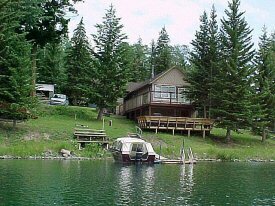 Excellent swimming, water-skiing private dock, crystal clear water, gorgeous lake, spectacular sunsets. Year round residence.